Google local listings enables businesses to draw the attention of potential buyers near by. It allows target audiences to find your business on top of Google search results for relevant location based keywords. What’s more, all businesses with brick and mortar location like retail food, boutiques, clinics, parlors and educational institutes can benefit from Google’s local business listing services. However, Google demands a 100% listing score to show your business among the top three local search results. To help you achieve this score, we discuss effective tips on Google local listing optimization. Businesses that follow Google’s quality guidelines stand a chance of scoring 100% local listing score. 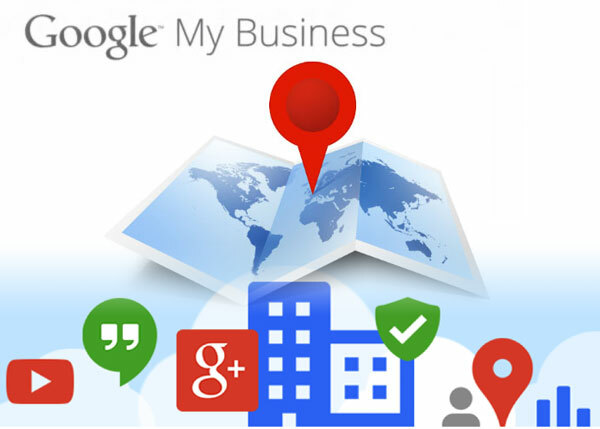 To begin, make sure the Google My Business profile represents your business as it is recognized in the real world. It should include an accurate business address which will be placed in Google Maps. Next, choose a few appropriate categories that accurately describes nature of the business. By adhering to Google’s quality guidelines, you improve your chances of optimizing its local listing, if you are looking to start your own online business and advertise it there. Filling out all the Google listing fields enables you to offer complete and detailed information about your business. Apart from basic information, include details like email address, phone number, website URL, opening hours and payment methods. In addition, provide a precise description of your business, explaining your products and services. For example, if you are a food business, explain your cuisine and popular dishes served. Since detailed information enhances user experience, Google is likely to rank your business higher in local search results. Keywords play a crucial role in your local listing ranking. First off, use specific service or product keywords in the listing description. These terms should be complemented by names of cities and suburbs that you serve. For example, several cheap franchises have low competition niches that you can rank for easily. Surely, strategic use of keywords will make your listing content more relevant, attracting more customers. Furthermore, pictures and videos of your business increases clicks to your listing. By providing visuals of your products, store or office, searchers are more likely to see you. What’s more, a high click through rate gains Google’s trust for computer troubleshooters, ensuring a better search ranking result. More importantly, buyers can use images and videos to learn more about your business. To optimize your listing, be sure to add lots of media for customers to see. Once your listing is ready, ask customers to add their reviews and feedback. With more businesses achieving a 100% listing score, Google is using customer reviews as ranking benchmark. Encouraging customers to review the page, you can post on social media and add the listing URL on your business website. This is especially easy to do for service businesses like a painting franchise. Their work is highly visible and something that people will take a picture of anyways. Surely, getting huge number of quality reviews will secure a higher ranking for your business and generate more customers. This is not really a tip so much as it is a helpful reminder. There are two types of Google Local Listing suspension – soft suspensions and hard suspensions. Soft suspension means you cannot edit your listing, hard suspension means your listing is removed. Your listing will be suspended if your website field contains a forwarding URL, your business name field includes extra keywords, your business address is not one that customers can actually visit you at, or your business has multiple verified listings. These will all result in soft suspensions, except for an inaccurate business address. Remember to follow all Google Local Listing rules to avoid suspension. Once you have your Google local listing working properly, you probably want to rank in the top 3 spots. In order to do this, you have to co-list or co-syndicate your local business listing. You can start by listing your business in local directories like Yelp, TripAdvisor, YellowPages and more. For a local oil change near me, people will be able to find your full information on Google and several other platforms. These directories will verify your information to Google as a legitimate company that should rank in the local listing top 3 spots. With these additional listings, your business will get more local exposure as well. Google local listing connects businesses with their prospective buyers. By following Google’s quality principles and filling out all the listing fields, you can easily optimize this opportunity and use it to conduct a ratio analysis. Be sure to add as much relevant information, keywords and pictures as you can (without going overboard of course). Finally, get some customers to leave their reviews and you’ll be on your way to a higher local listing ranking.